Jio says that the Facebook app is specially designed for the JioPhone and it will support watching videos, push notifications and more. Reliance Jio has announced that the Facebook app will be available for download on the JioPhone from February 14. 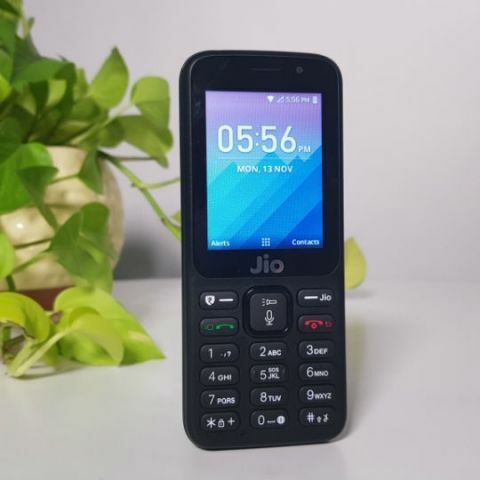 The company says that the app has been redesigned as for KaiOS, a web-based operating system, upon which the feature phone works and it will open up “Facebook for potential 50 Crore feature phone users in India.” It can be downloaded by all existing and new JioPhone users. “We are excited about our partnership with Jio and the opportunity to provide the best possible Facebook experience for millions of people using JioPhone (review), working with partners like Jio, we want to make sure everyone, everywhere has the opportunity to enjoy the benefits of being connected.” said Francisco Varela, Vice President of Mobile Partnerships, Facebook. The JioPhone was launched in July last year, aimed at feature phone users. It runs on KaiOS, which is a forked version of the Firefox OS and currently supports apps such as JioTV, JioMusic, and more. The company previously announced that they will soon bring support for apps like Facebook and Whatsapp for the feature phone. Facebook is now arriving on the phone, but it's not known when WhatsApp will come for it. The 4G feature phone is an effectively free device priced at Rs 1,500. Customers will be refunded the amount after if they return it after three years. The mobile phone comes with a voice command app, which was replaced with a special version of the Google Assistant meant for the phone. The intelligent Assistant can also recognise Hindi voice command and display recipes, sent text messages and play songs. Jio recently started the second round of bookings for the JioPhone on its website, MyJio app and also announced that it can be purchased via MobiKwik, which has become the first platform, apart from the company's own channels, from where the mobile phone can be purchased. However, MobiKwik only allows purchasing the device and the customer needs to visit a store for picking it up. You can read more about it here.